I’ve had a lovely weekend, and a great beginning to December. I ended November by fulfilling a personal achievement – reaching my NaNoWriMo goal! Between that and the busy holiday week previously, I needed this weekend to rest. I’ve put my creative writing to the side for now, however a full moon meditation last night came with some very strong pushes to keep writing. So, although I planned to take the month off, I don’t think that will actually happen. Brighid says to write, so I must. Today, however, I focused on catching up with grove business, housework, and taking a stroll through the cemetery behind my home. That last bit was actually very helpful to my NaNoWriMo project as much of the plot revolves around a cemetery. We’re getting into the holiday spirit here. We picked up a wreath from a local farm today and adorned our door. I’ve dappled with many arts and crafts, but making wreathes is something I haven’t really tried. Perhaps I’ll make it a goal for next year. 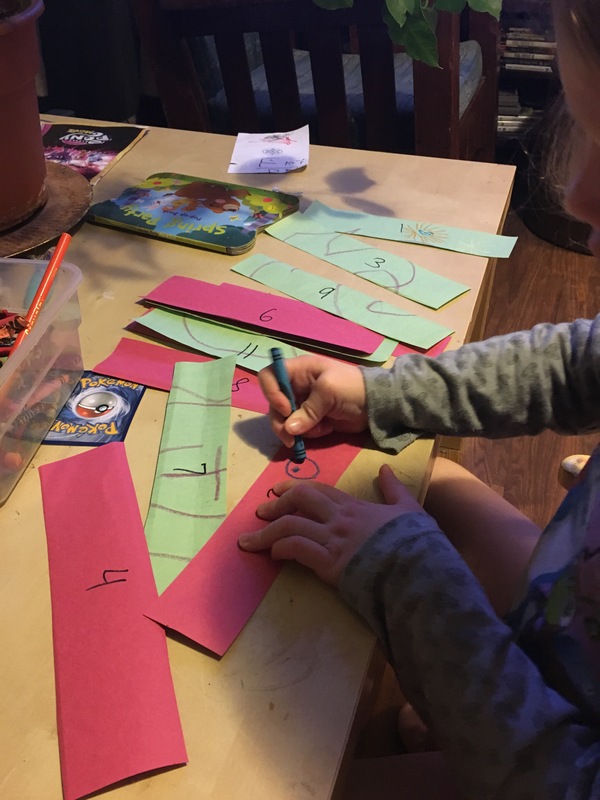 I picked up some evergreen branches trees shed in our yard, but it wasn’t enough to make a wreath. 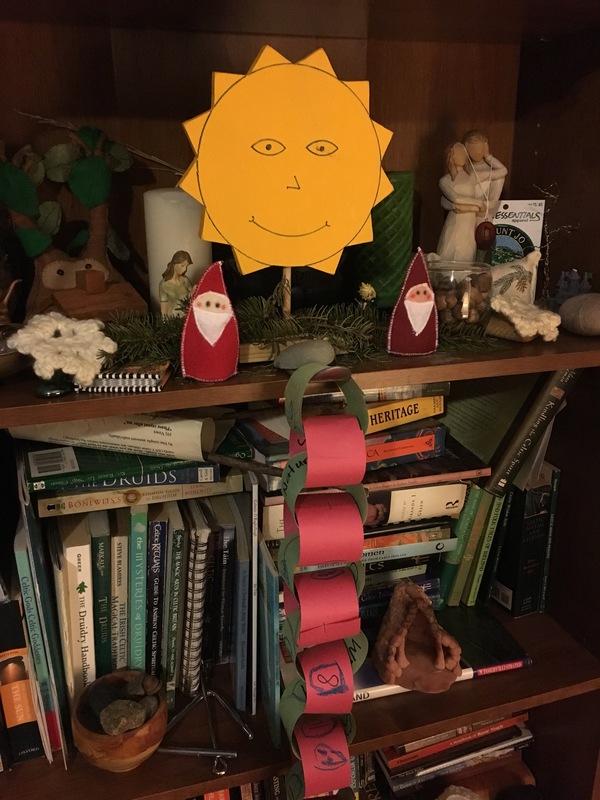 I brought them in to decorate my altar and shrine spaces, though. I so enjoy bringing in some green. 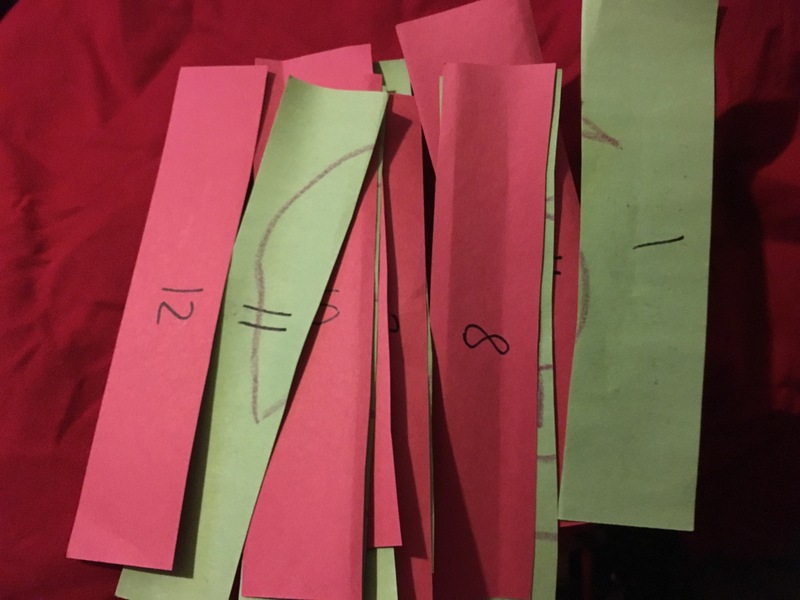 Anyway, my daughter watches the Curious George Christmas special a lot, and it inspired her to make her own tree countdown, only for the Winter Solstice. We had fun adding stars, snowflakes, hearts, red berries, and spirals. 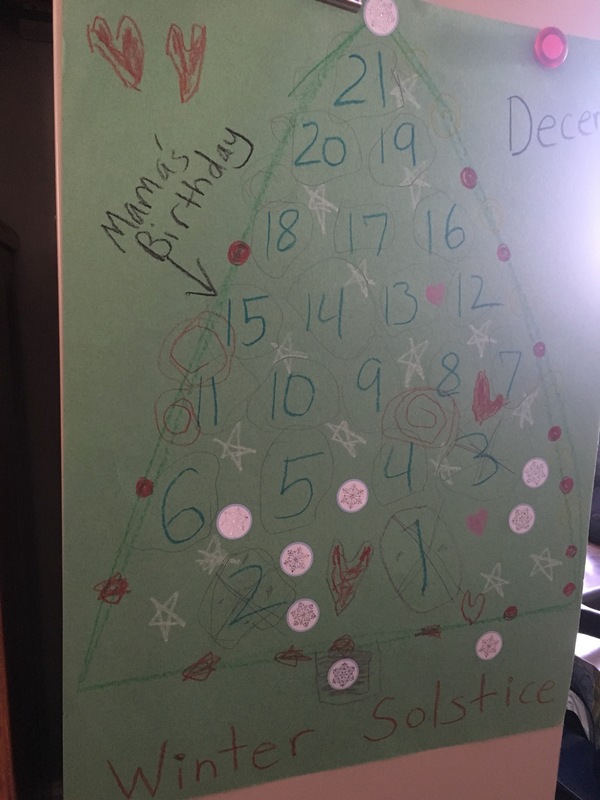 It’s not terribly fancy, but it’s something special we did together, and it’s helping her learn about the calendar. I hope your preparations are coming along well!